Walk through the haunted woodland featuring spooky fairytale characters, fairies and goblins. 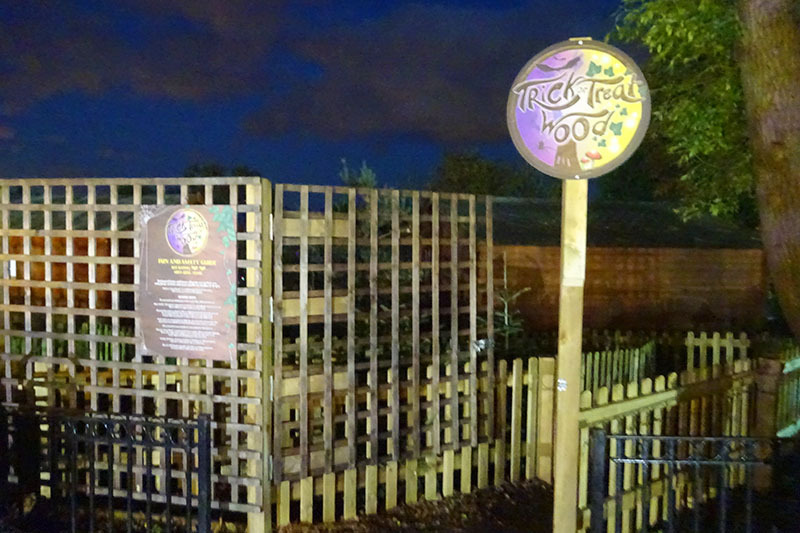 Trick or Treat Wood is aimed at young children, and gives them the chance to explore a haunted fairytale woodland inhabited by various spooky characters. Through various interactive scenes, the characters reveal themselves to be either good or bad and offer a verity of tricks or treats along the way. Being pitched at the younger audience, Trick or Treat Wood is charmingly spooky rather than frightening. While it is open from lunchtime, it is definitely best experienced after dusk, as the forest becomes more immersive and is nicely lit in a variety of coloured lights.